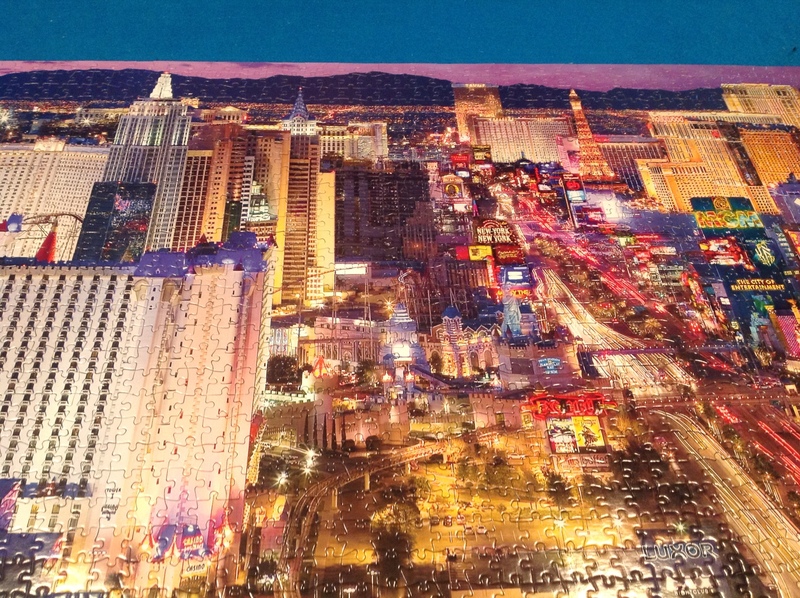 We finally finished the Las Vegas puzzle. It was a tough one. There were so many building pieces and the colors were very similar. Got it all done and there were 3 pieces missing. Don’t you just hate that? I think it was my fault though. I lean on my elbows over the puzzle while I put it together and one day I did that then went about my business doing housework and a puzzle piece was stuck to my arm. Eep!